Site Title: Tatra Love - U.K. Description: The only Tatra Shepherd Dog Kennel in the UK. A very good breeder in England. I personally met the owners during one of the Podhalan meetings in Poland. Both of them are very dedicated to breed healthy and good natured puppies. Description: Web site of kennell in Starachowice with some useful info about the breed history and how the breed develped. 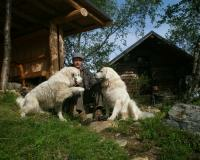 Description: Polish Tatra Sheepdog kennel located in Findland. Rosa and Baranek. The web site in Polish and English. 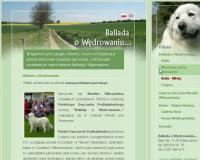 Description: Kennel of Polish Tatra Sheepdogs located in Holland. Offers history of the kennel,dog's stories and pictures. Site is in Dutch, English and German. Description: Owczarek Podhalanski kennel located in Warmia, it offers puppies form time to time and it also has a stable on premises. Web site has an English version. 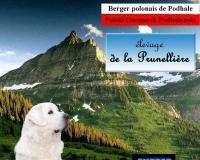 Description: French kennel of Owczarek Podhalanski includes information about Owczarek personality, training and education how to choose the best puppy.